Not too much to write about in general for the last week. I saw my podiatrist and he just said it will take some time and to let pain be my guide. So… not a whole lot of value to take from that. I then saw my chiropractor and told him that I could feel it (some pain) when I raised and lowered my toes (like to open the lift on the garbage can) and that made a lot of sense to him and he worked it in such a way to try and open up those intrinsic muscles. Another thing he said that made a lot of sense was that I should go in to my myofascial release massage therapist and get my lower leg worked on. Really open it up because what I am feeling now is probably mostly just tightness and constriction. I tried to get an appointment, but didn’t hear back from him. I will try again early this week and do agree that it should have a very positive impact. I think it really isn’t my dealing with an injury very much at this point but the resultant tightness. I don’t plan on running yet this week but am going to try and get in at least two stair climbing sessions and maybe one strong walk (I will know pretty early into it if there is an issue). 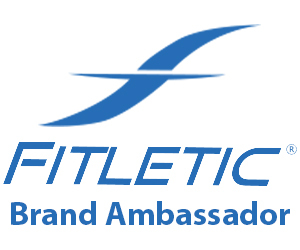 The stair climbing does not seem to have any impact on my plantar and it is great exercise and will be good for me. I think I will go a bit slower and higher volume. I am still confident that I will be running soon. Oh and very cool… I won the Cocogo drink giveaway from Jeneen at Caffeine? Yes, Please! this week! I look forward to trying out this product (and of course letting my readers know what I think) soon and thank Jeneen for a cool giveaway! One thing I need to think about (and take care of soon) is my shoe situation for the race. What I mean by this is two things… I expect that my feet will get quite sore as the night goes on. My feet were really sore at the end of my first trail ultra The Land Between the Lakes 60K. It was a reasonably technical race and I run in thin minimalist shoes, so the last 8 miles my feet were tender. There is a section of gravel in the loop at this race and I will be on my feet for 24 hours (give or take) and I expect that my feet will get sore. So I may consider trying a slightly more cushioned (but still zero drop for sure) shoe that I wear later in the race. I’m not sure yet. One thing that I am sure of though is that my feet will swell somewhat (most everyone’s does in a 24HR or a 100 miler) and I will be getting a half size larger of my go to shoe The Minimus Zero Road. I have a feeling I will really appreciate changing into them late in the race as my feet will need the extra room. I will of course try them out for a couple of short runs before the race to make sure they are not too big. One of the really funny things to me when I signed up for this race was the second page of the registration where it asked you quite unusual things for a race registration. Things like: Do you want to rent a tent (and how big of one), do you want to rent a cot, a fold out table and etc. I thought it was very cool and reminded me how serious of an event this is that I am getting myself into. I haven’t done it yet, but I am definitely going to rent at least the tent and the table (and maybe the cot). I have no intention of sleeping at all during this race (but of course understand those that are doing the multidays will have to sleep) but having a place to store all of my stuff and change clothes etc. will be very valuable. I am going to be bringing a decent amount of stuff for that day and knowing that it is all there will help me. I will probably be bringing a lock for the tent too.. which is pretty ridiculous but Amanda at 1 mile 2 Go said that some of the tents had stuff stolen from them during the night at NorthCoast 24-Hour Endurance Race she raced. Really… I mean Really! Could you get any more cold and despicable? That is all that I will say about that but it is probably in my best interest to lock it and keep the key with me. 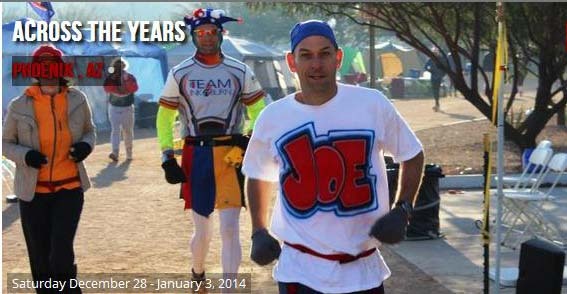 Here is a photo of the tents along side the course at last years event (no idea about the importance of “Joe” for that one runner or for that matter the court jester : ) ) This race is going to be one heck of a ride!! I am introducing a Plan D 1/2 (D point 5?) goal to my list of different goals for this race. For those that missed my goals they are here from Plan E to Plan A at the bottom of the post. My Plan D 1/2 goal is 100K (62 Miles). It would be a PDR (Personal Distance Record) and sounds like a pretty cool distance to hit. Am I putting it in because of my difficulty in getting in running up to this point? Yes that is honestly part of the reason, but also it is a pretty cool distance to hit and there was a very wide gap (of over 23 miles) between Plan E and Plan D… so I thought it would be nice to have an intermediary goal. 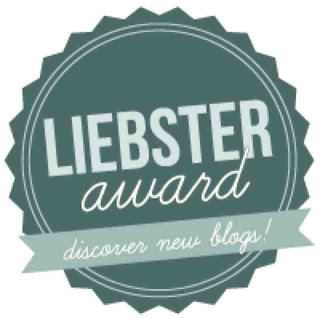 I wrote about in my last recap that I would be presenting the answers to my questions for my Leibster Award nomination and write about the 11 other bloggers that I chose to nominate.. and I most certainly will! But I haven’t had time yet to do it justice and will be writing it most likely as a separate post. I am very excited to do it, but want to give it the proper effort and time that it deserves. So now I will detail my training from Week 11. 17 sets for Triceps (I did 10 sets of seated EZ Curl bar French Presses and I am starting to believe that they.. and 1 dumbbell seated French Presses.. aren’t the best thing for my shoulders). I didn’t hurt anything but it just didn’t feel right and my right shoulder didn’t feel particularly stable in that position. I don’t think I will do them for a while and will throw in other movements where I don’t put that impingement on my shoulders. Keeping my hands farther out will help that. Wednesday the 25th: 7 sets of barbell bench squats ending with 265X4 and 285X2. Been a number of years since I have squatted.. and it felt great! I forgot how natural squatting feels to me. It is one of my most efficient movements genetically. And I wasn’t very sore the next day. I will really start to up the weight and intensity on the squatting.. doing them every other week. It didn’t feel very hard. Thursday the 26th: Having only Traps, Abs and Forearms/Grip to do.. I really attacked them and did more weight on the Hammer Strength Shrug Machine than I ever have. I actually added more weight to it than the sleeves allowed. I put the extra weight on the handles. That was cool. I got up to 540X11 then 590X13. I did “lying on the incline bench facing it.. or prone.. mid trap shrugs getting up to 125lb DB’s for reps. Was tough to get them into position but felt good and strong doing them. 18 sets for Traps and Rhomboids total. Sunday the 29th: 5 sets of Trap Bar Deadlifts ending with 390X12 and 430X3. This was a jump of 40lbs from the last time I did them two weeks ago so I was very happy. I am also only 20lbs away from one of the sub goals that I gave myself for this training period (before the race) and that was reps with 450lbs on the Trap Bar. I definitely think I will surpass that before my training is over for this race and may get close to 500lbs. Was really happy with this. 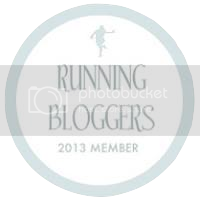 This entry was posted in Running, Running - Training on September 29, 2013 by Chris M.